Harjus Sethi, a senior who studies directing at Chapman University’s Dodge College of Film and Media Arts. Orange, Calif. — Harjus Sethi (M.F.A. ’15), a second-year graduate student studying directing at Chapman University’s Dodge College of Film and Media Arts, was chosen by the Sikh American Legal Defense and Education Fund (SALDEF), United Sikh Mission, SikhLens, and the Khalsa Care Foundation to ride on the first-ever Sikh American float at the Rose Parade on New Year’s Day. “Sethi was selected because he is a rising star in film direction, which will help fuel Sikh American awareness in the long run,” said Sona Simran Kaur, communications director at SALDEF. The float, highlighting Sikh American values, history and contributions, is a historical moment for the California Sikh community, which hopes this float will lead to greater acceptance of Sikhs in the U.S.
That mission is also connected to why Sethi chose to study directing at Chapman. “I knew that with film, I’d have the freedom to create something uniquely my own, and direct projects that show a greater understanding of the Sikh community by placing Sikh actors in lead roles,” said Sethi. Sethi will wear a turban designed by Bicky Singh, founder of the SikhLens film festival, a Sikh cultural festival that has taken place at Chapman since 2001. 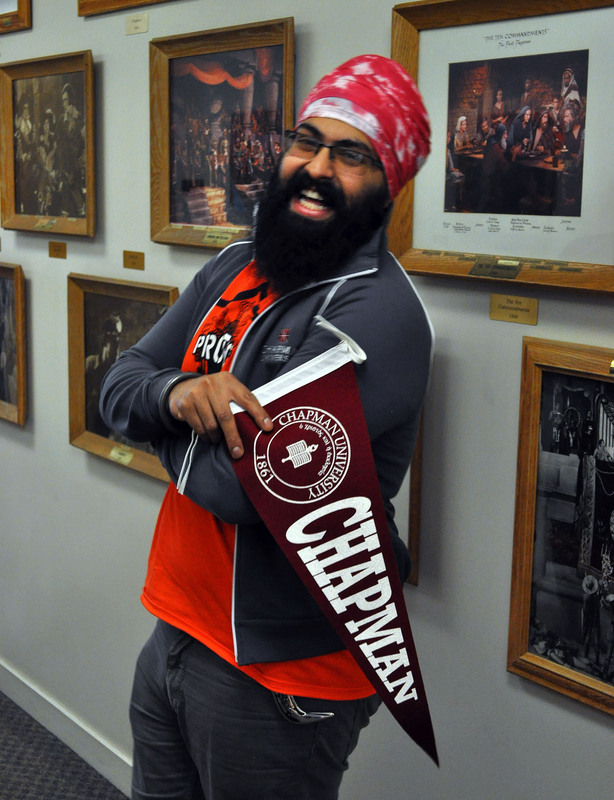 Singh designed the turban by tie-dying the official Chapman colors of cardinal red and gray. “I’m proud to see a Dodge College student in the parade, representing both Chapman University and the Sikh community at large,” said Singh. 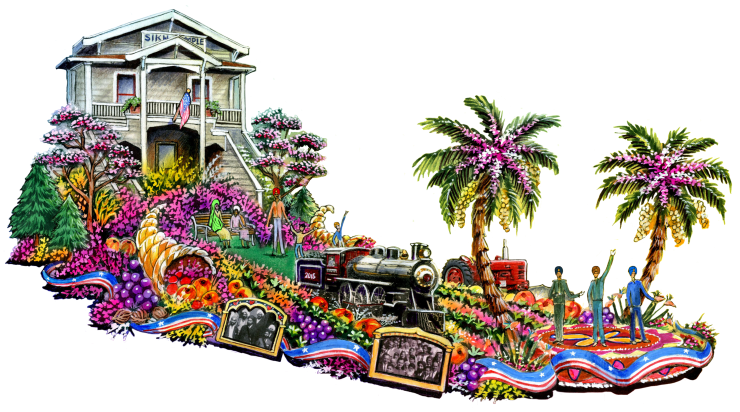 An artist’s rendering of the future, first-ever Sikh American float to be included in the Rose Parade. 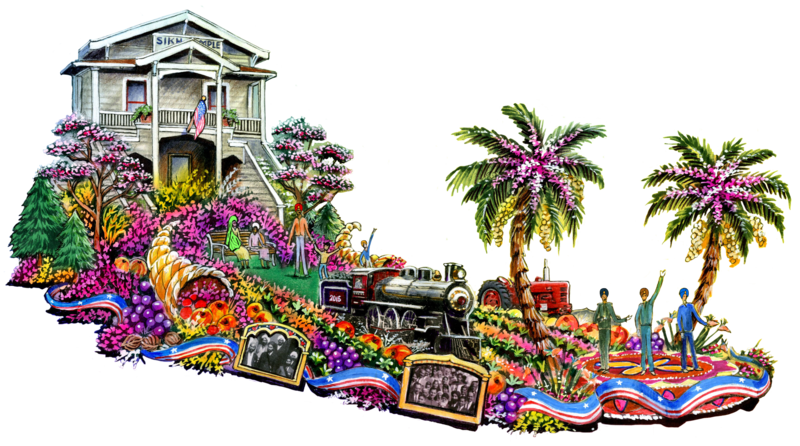 The Rose Parade will follow a 5.5-mile route down Colorado Boulevard in Pasadena on Thursday, January 1 at 8 a.m. PST. The parade will also be broadcast live around the world. Check www.tournamentofroses.com/RoseParade for details.